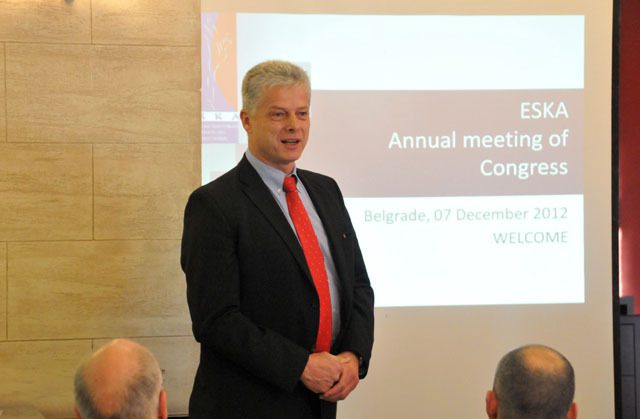 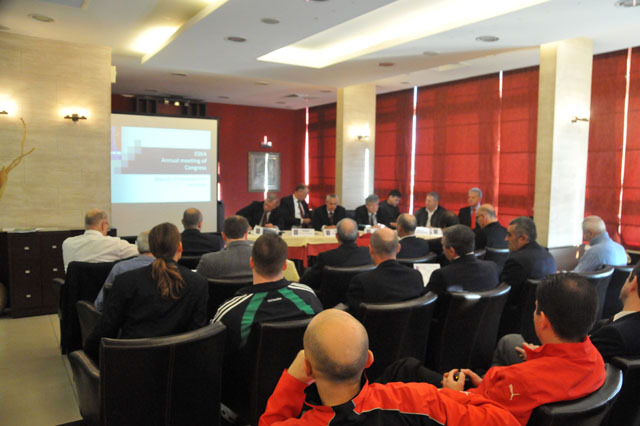 ESKA-Cup 2012 in Belgrade- a great success! 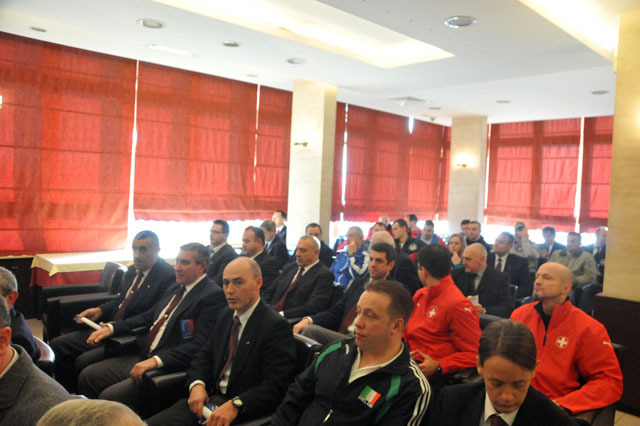 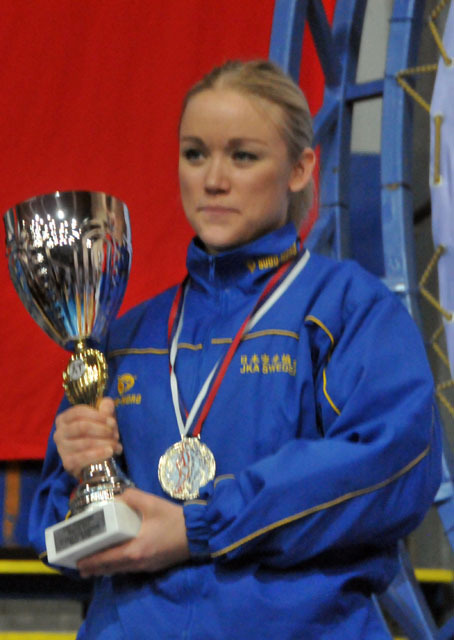 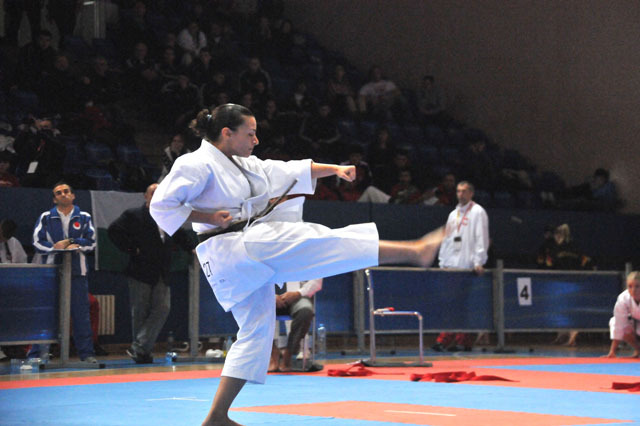 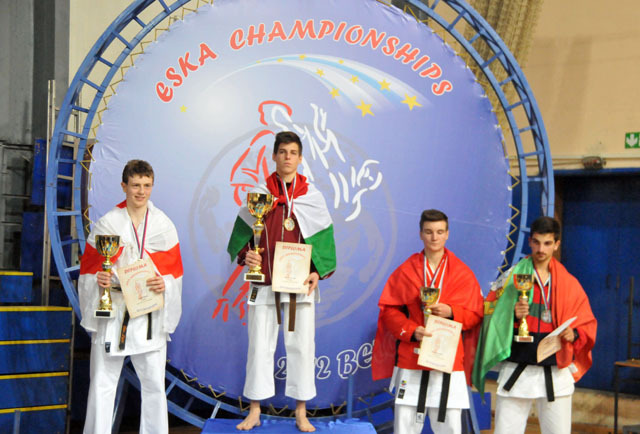 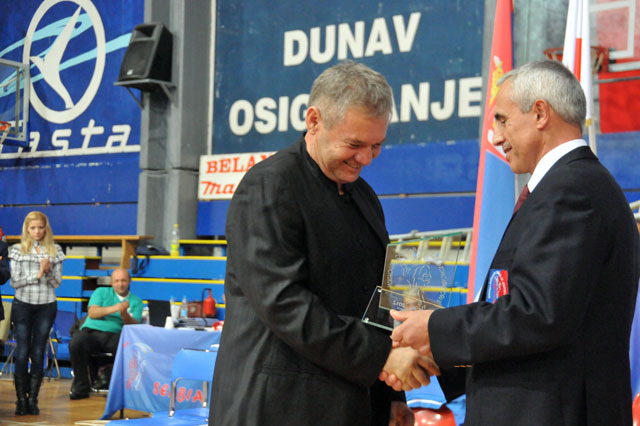 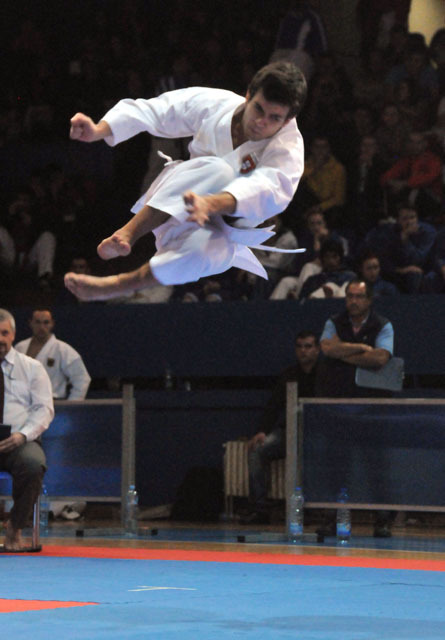 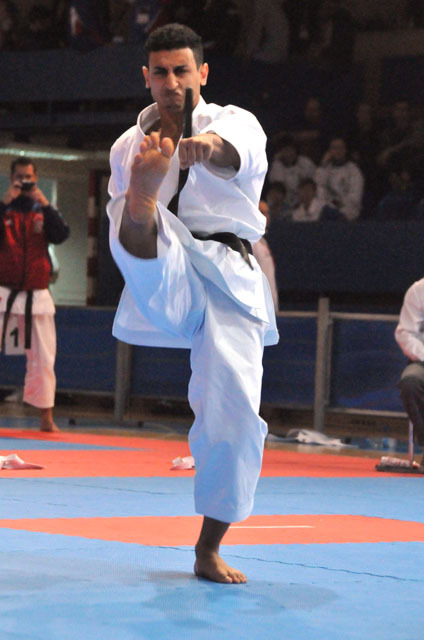 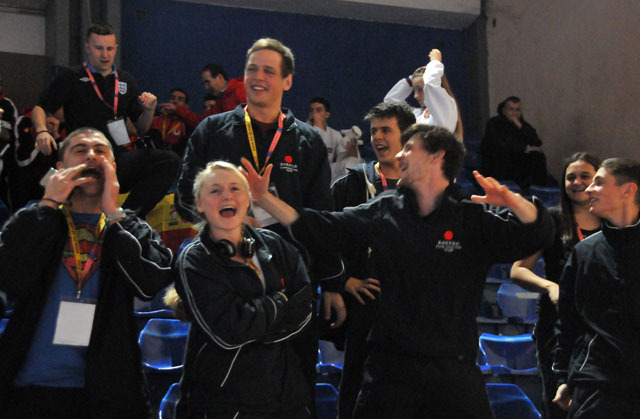 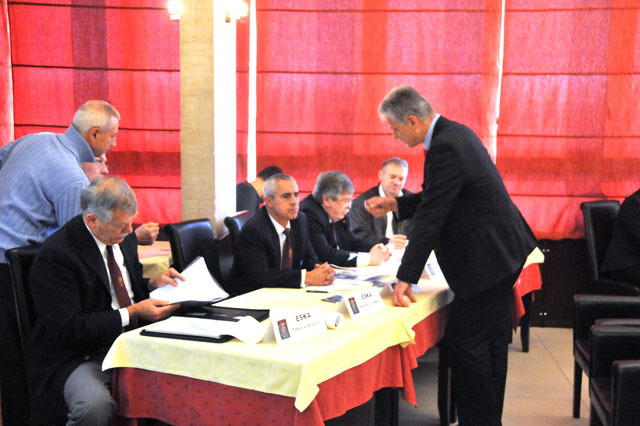 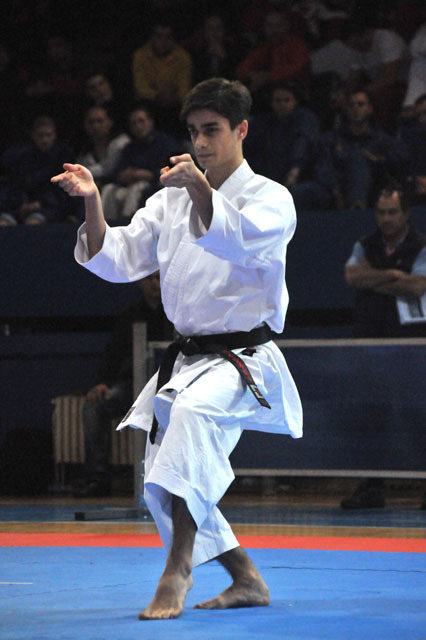 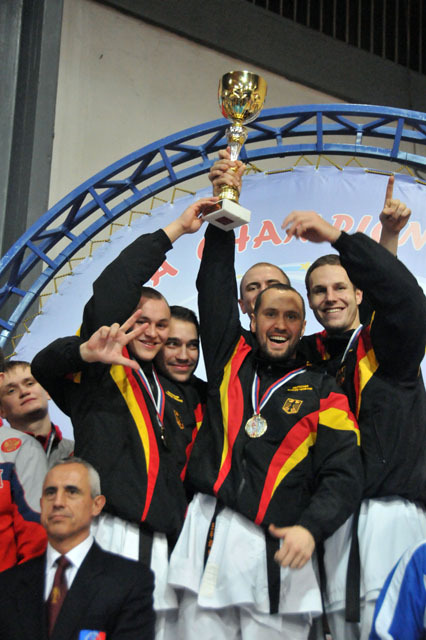 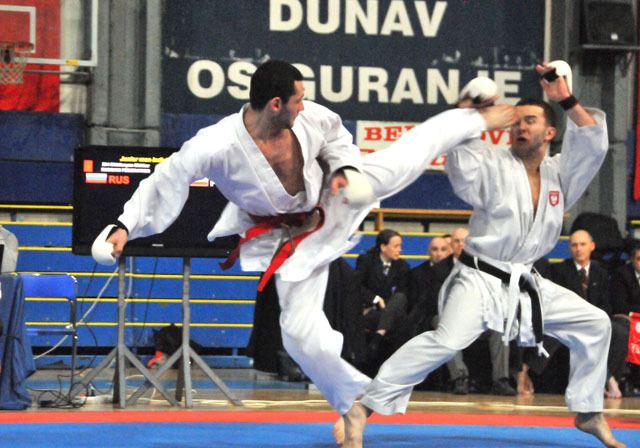 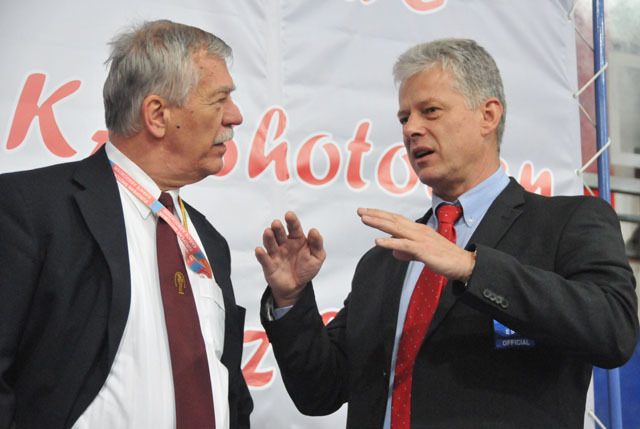 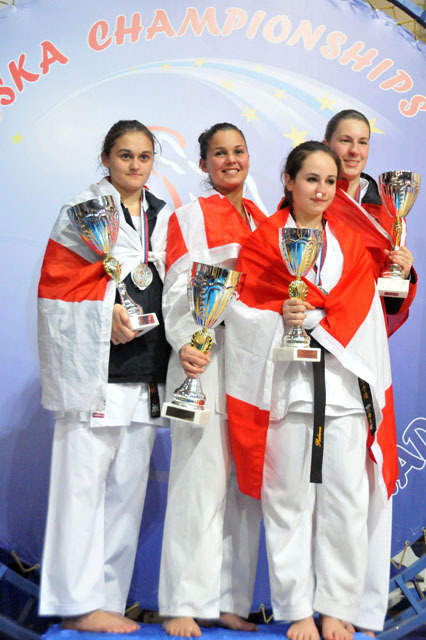 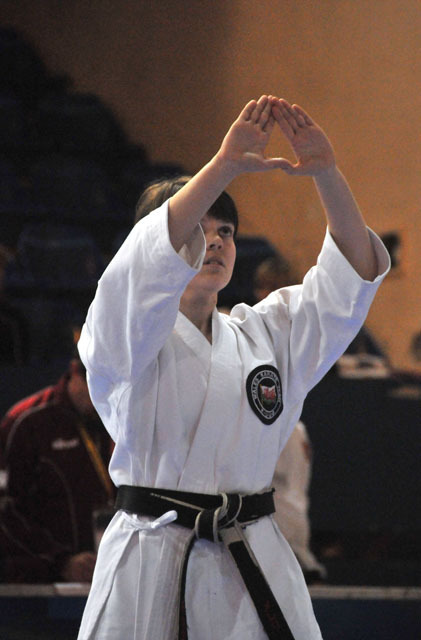 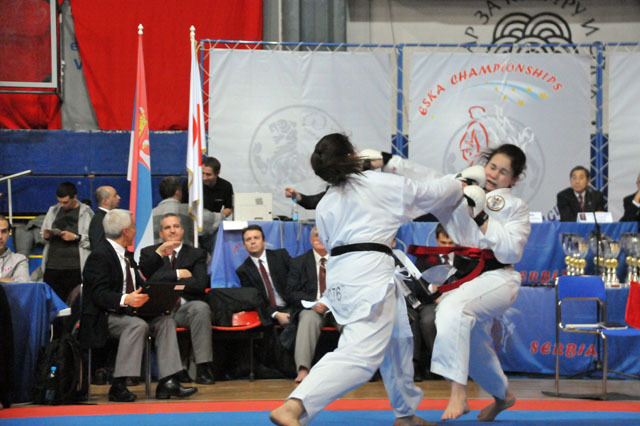 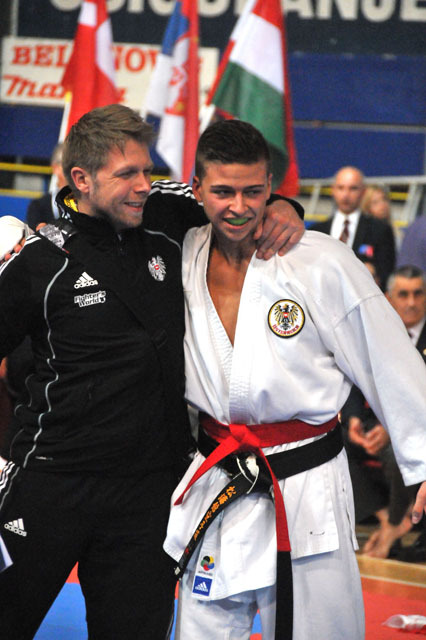 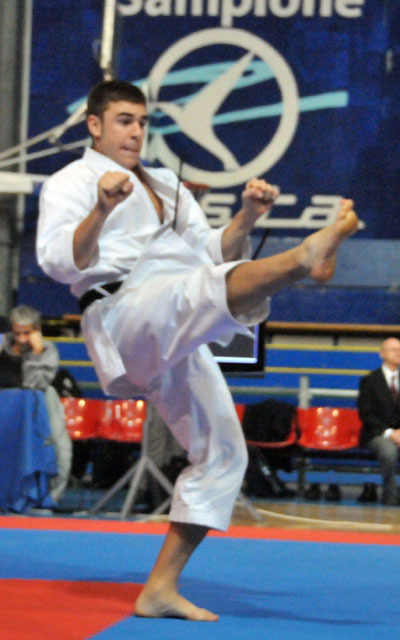 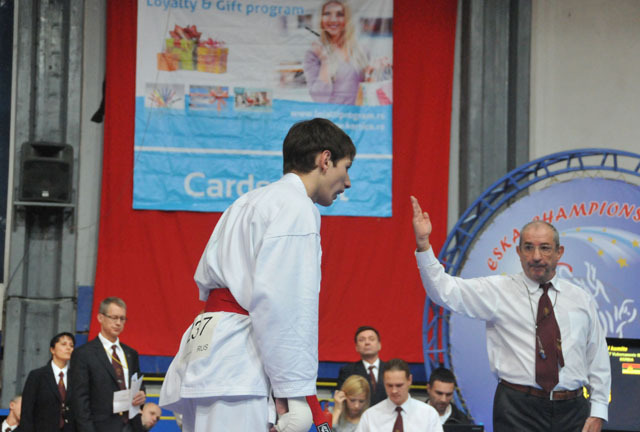 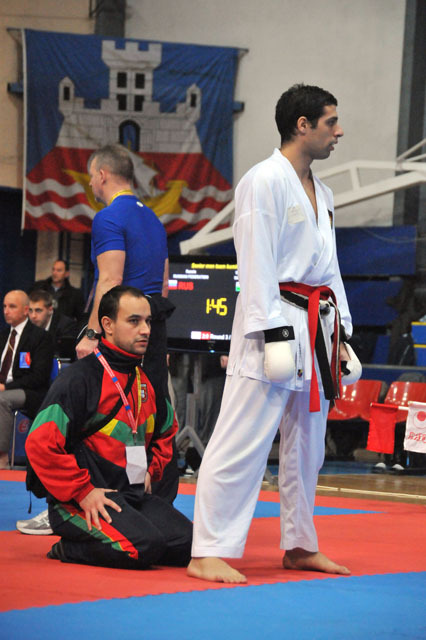 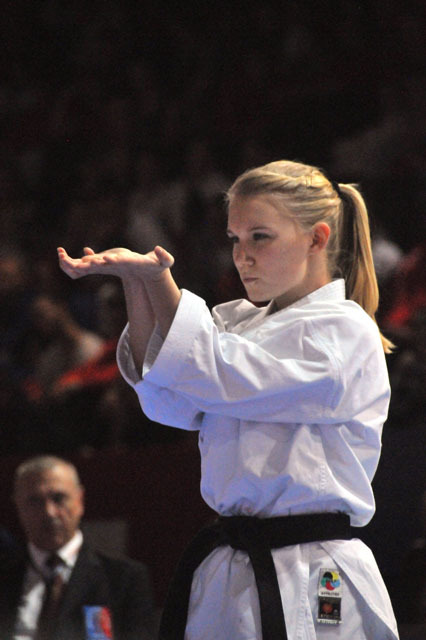 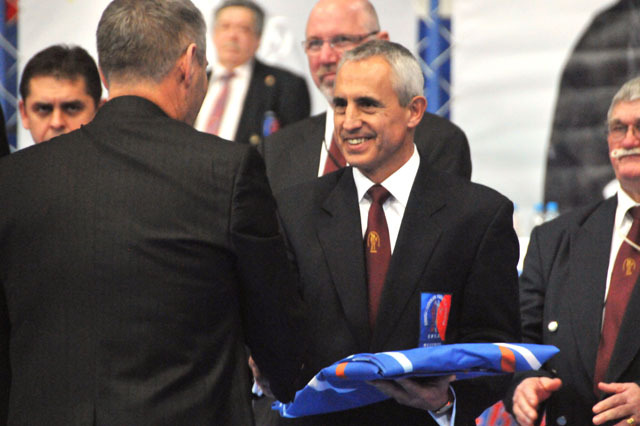 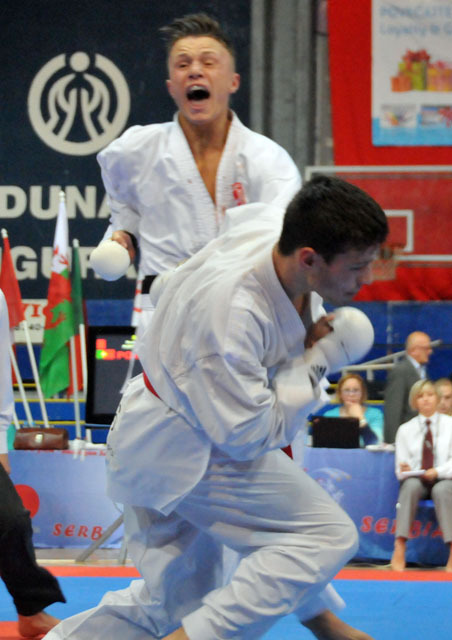 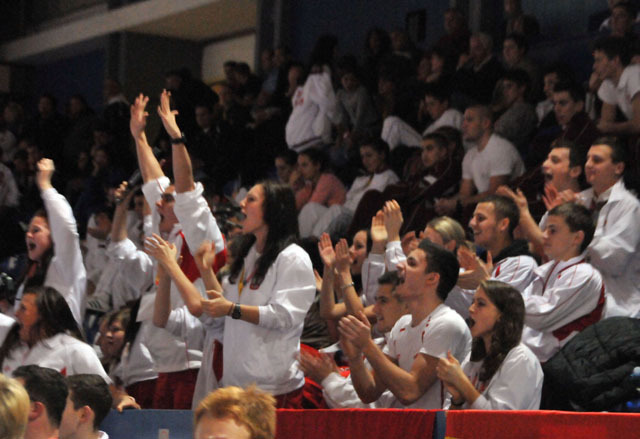 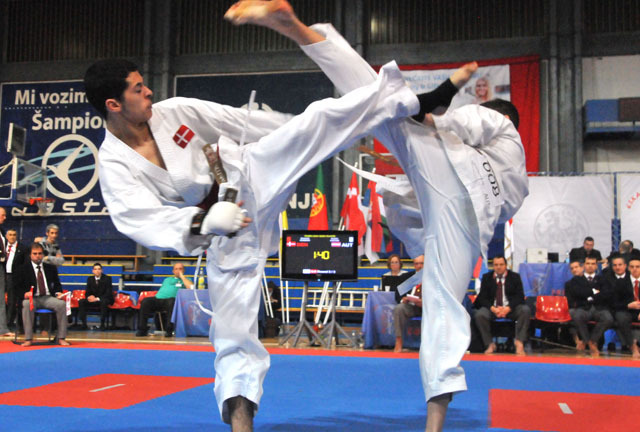 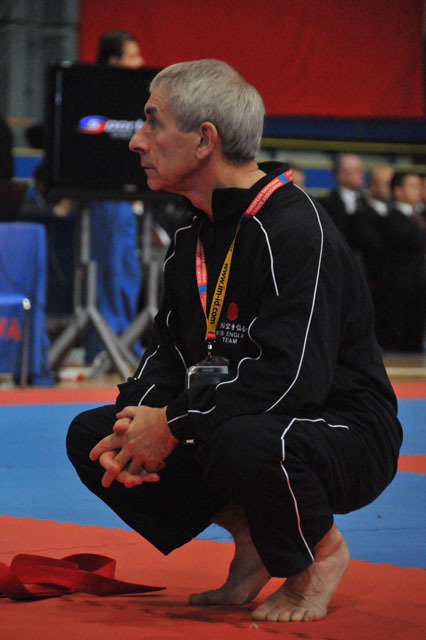 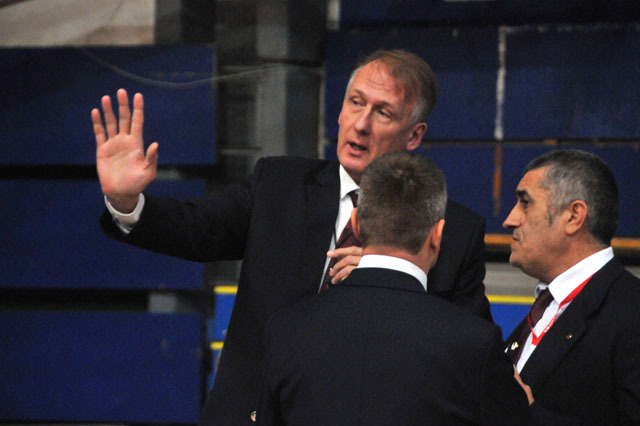 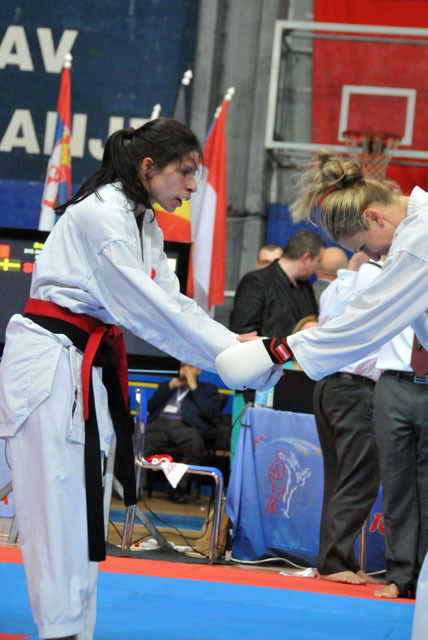 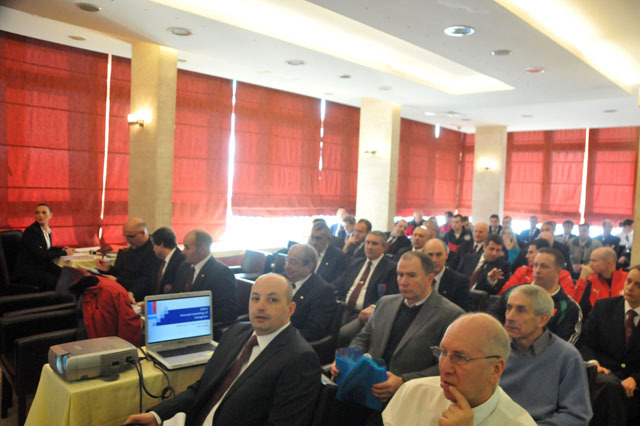 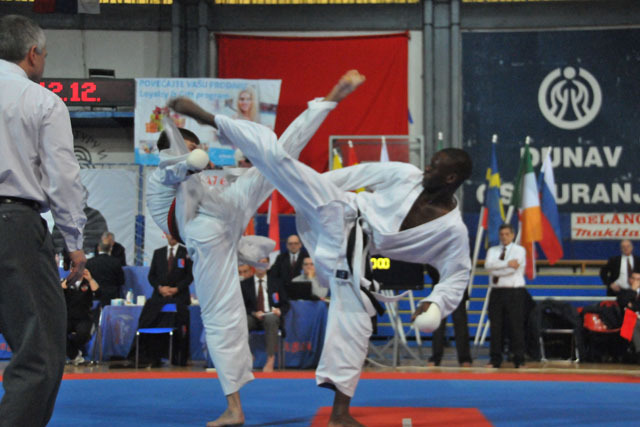 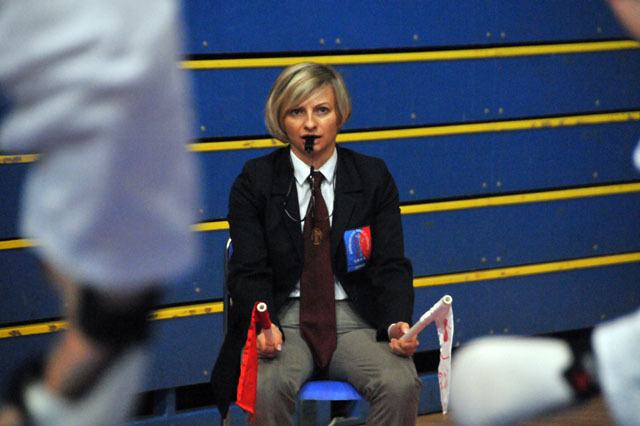 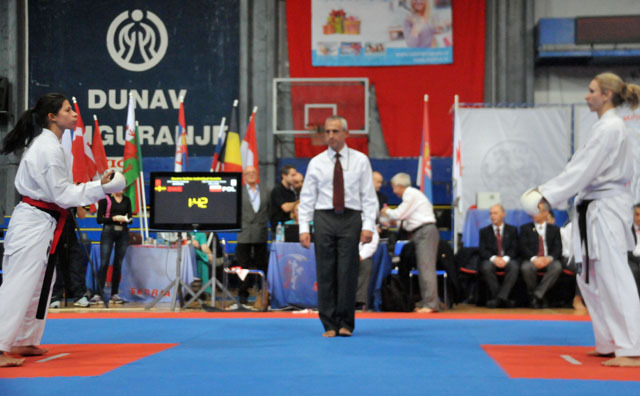 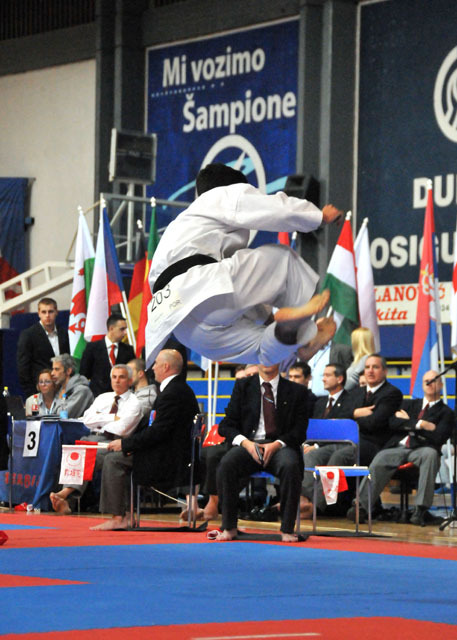 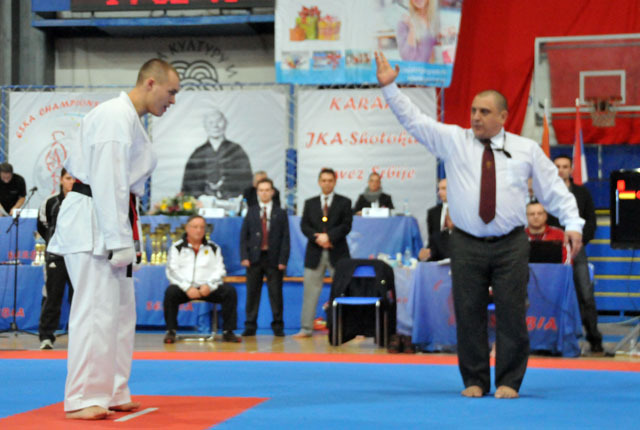 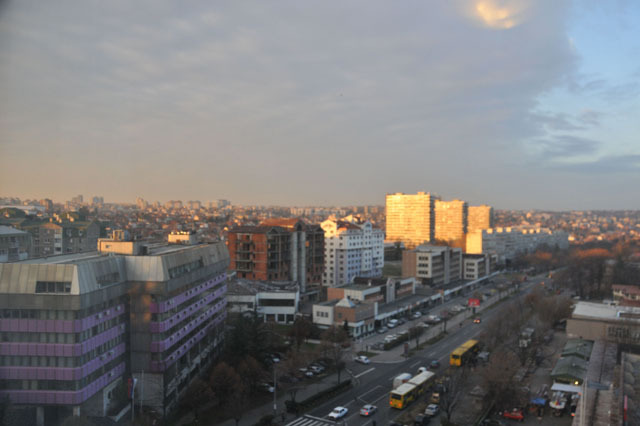 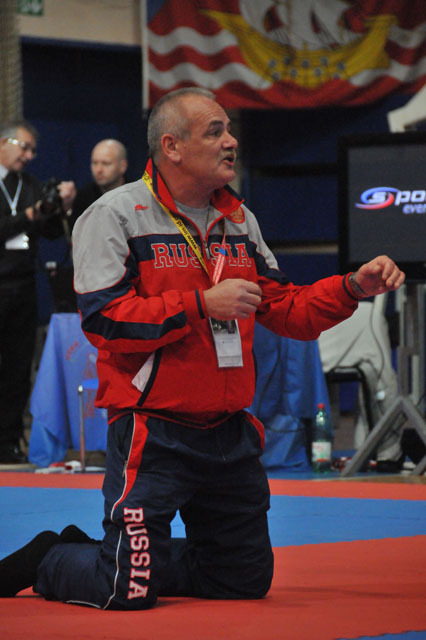 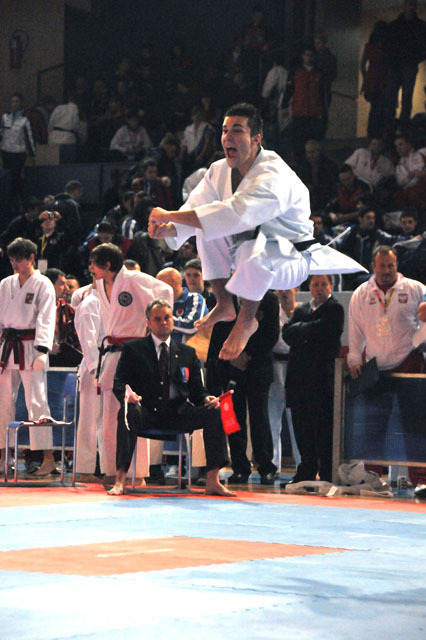 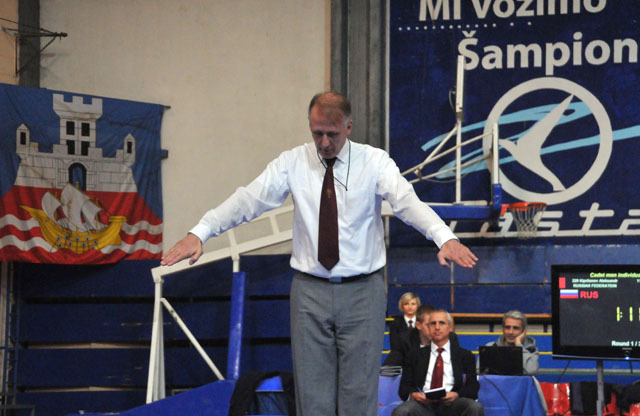 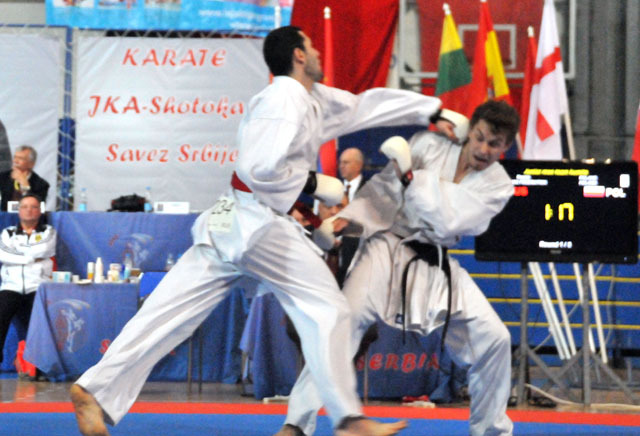 After the WKF-World Championships in 2010 Belgrade was 2012 again host city of an international Karate top-event. 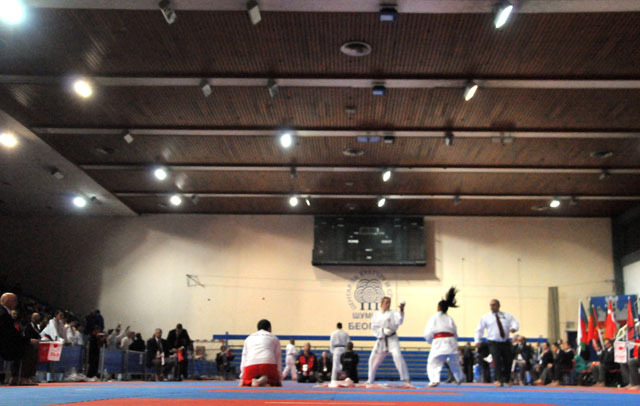 From 7th til 9th of december the ESKA-Cup took place in the sports centre „Sumice“ in the heart of the Serbian capital. 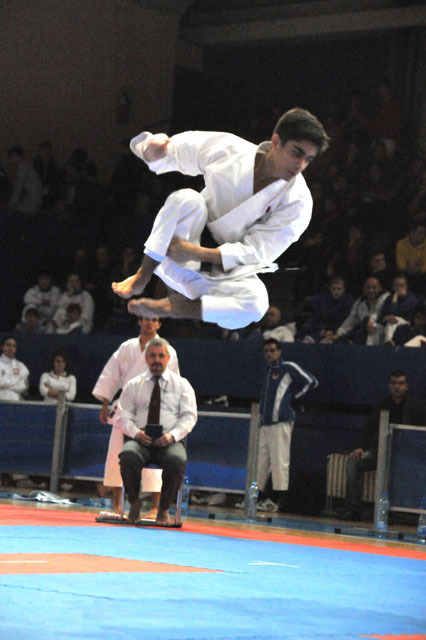 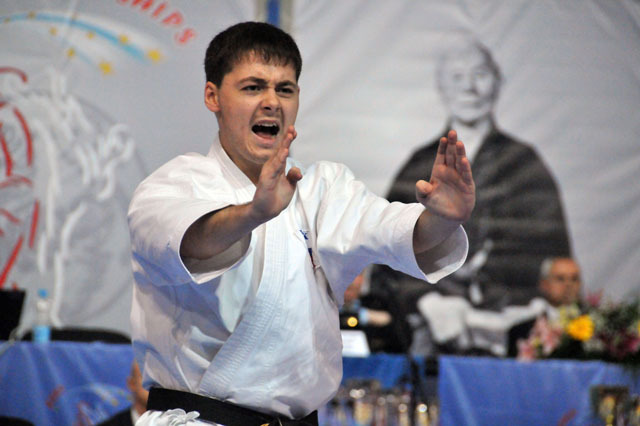 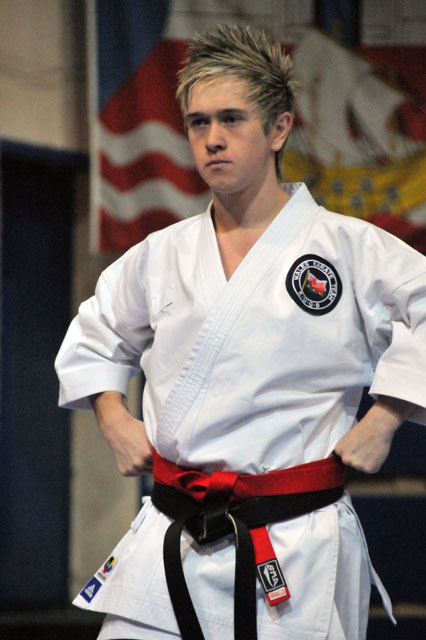 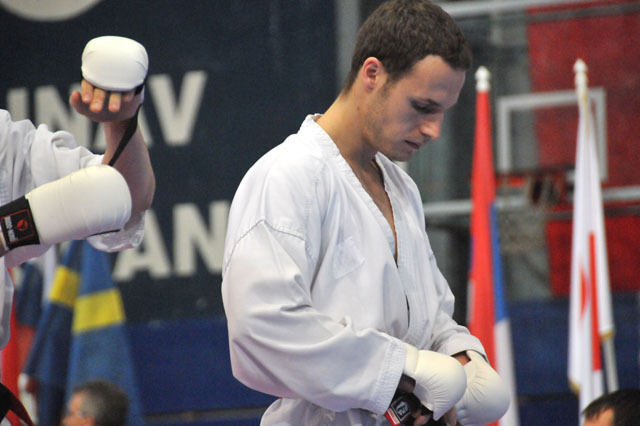 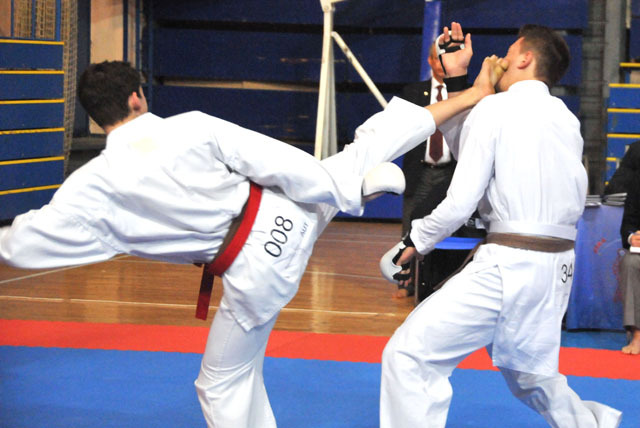 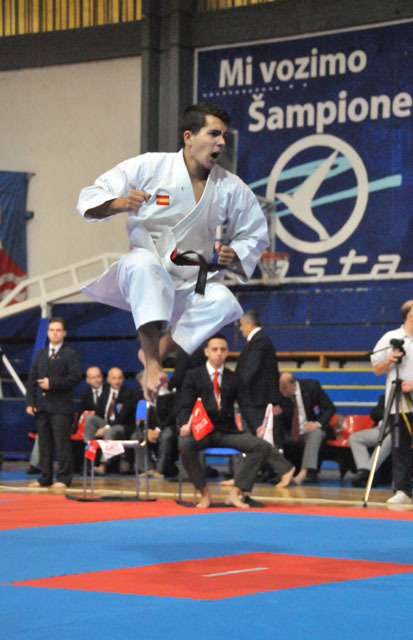 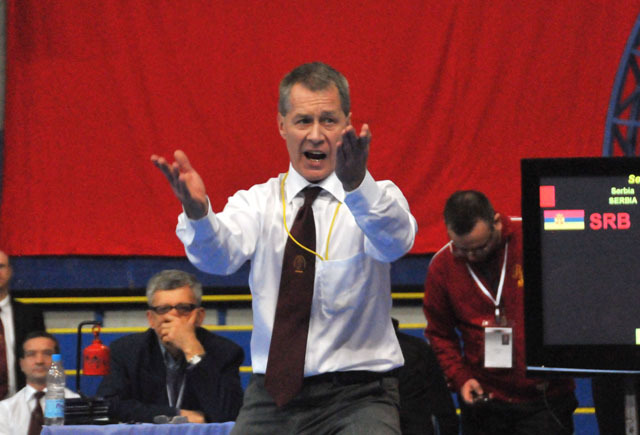 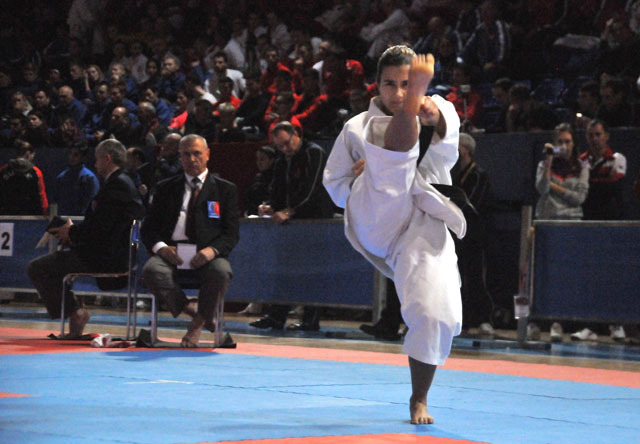 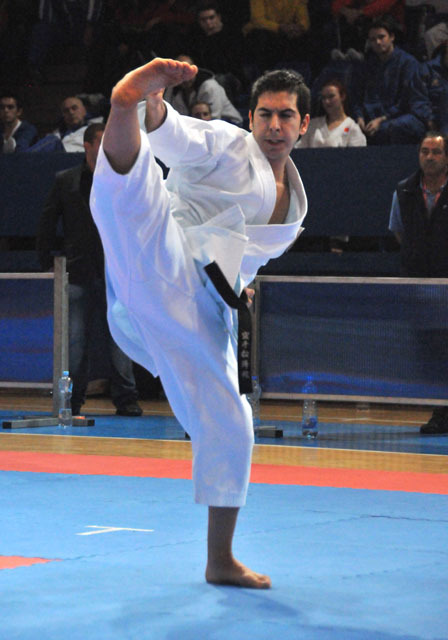 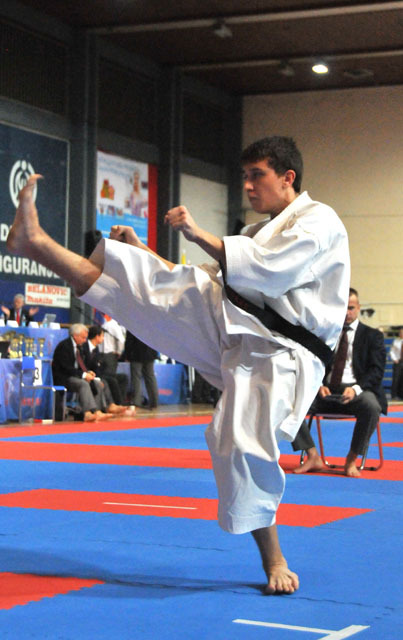 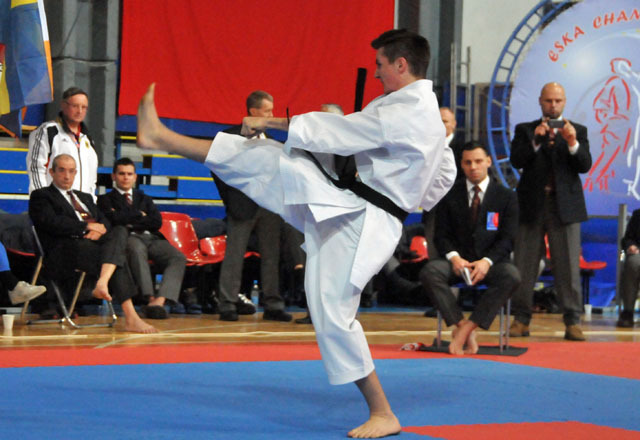 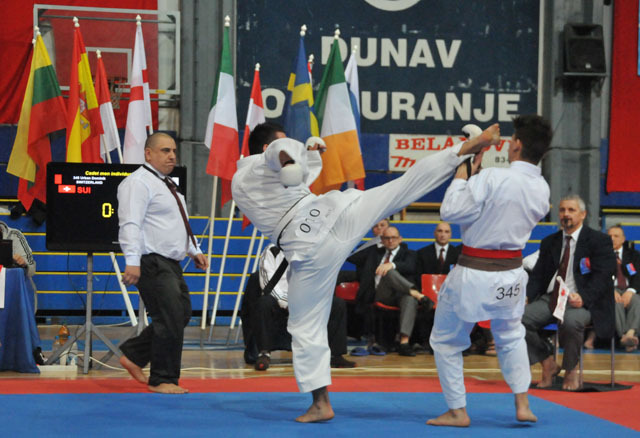 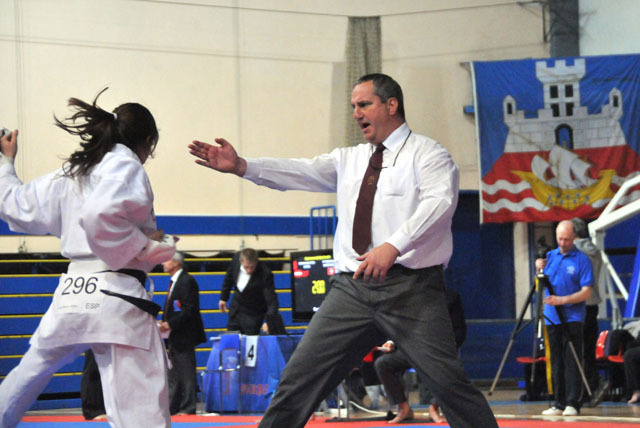 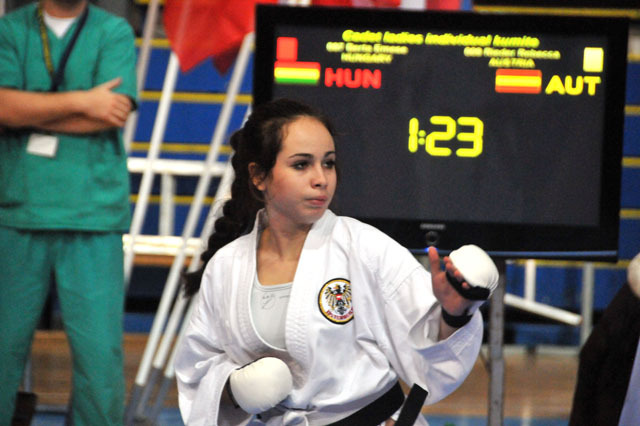 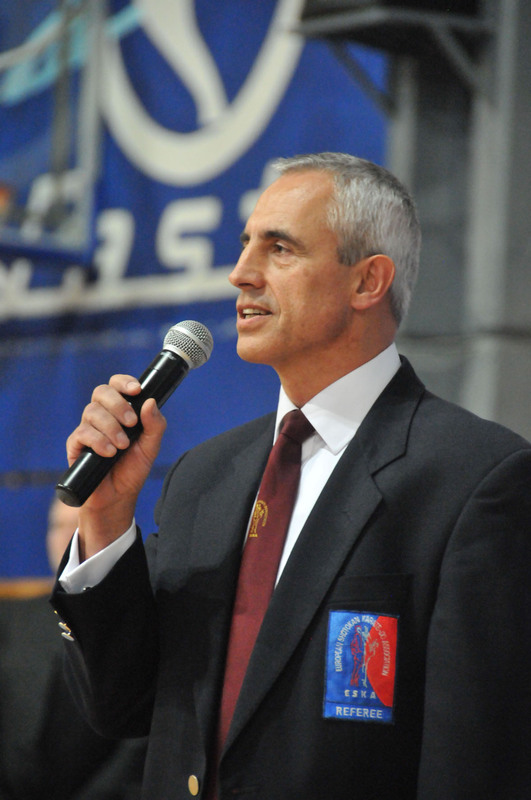 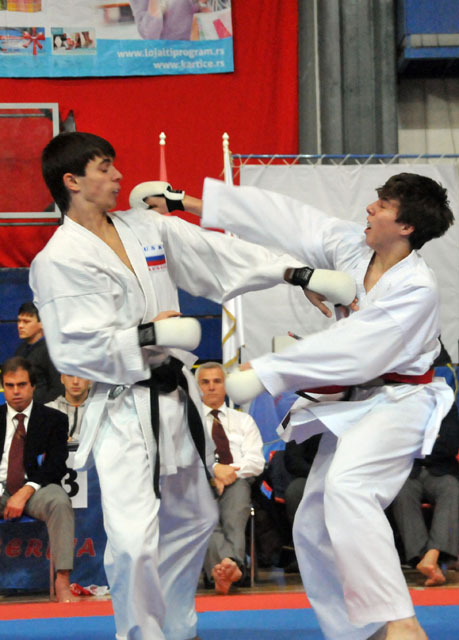 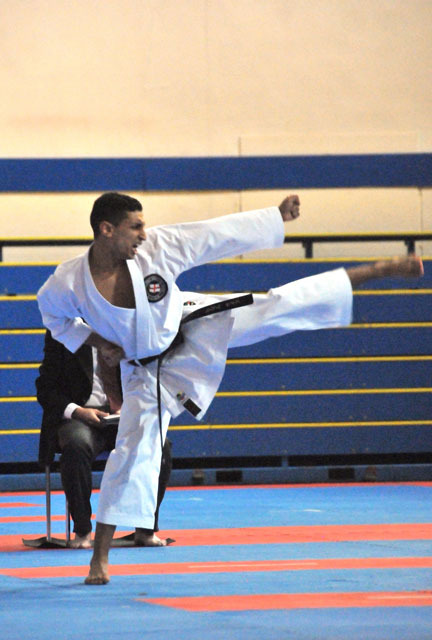 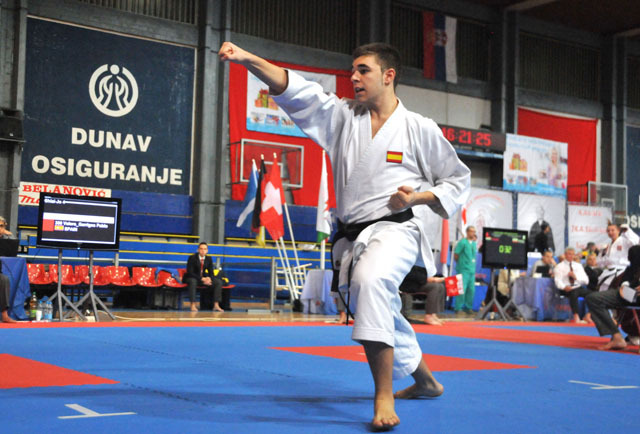 More than 370 participants from 22 countries took part in the high-level tournament which was hosted and well organized by the Shotokan Karate Federation of Serbia and its president Oliver Tomic. 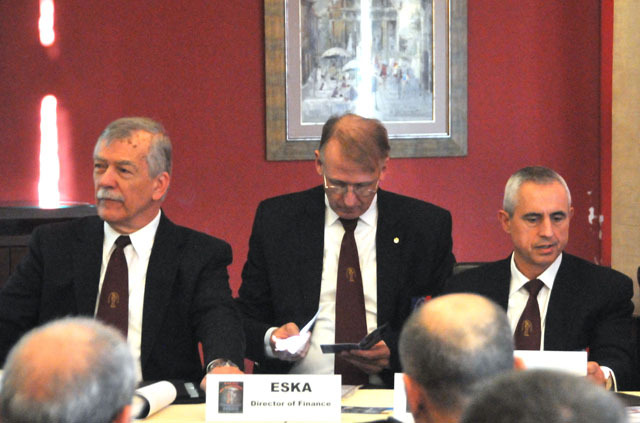 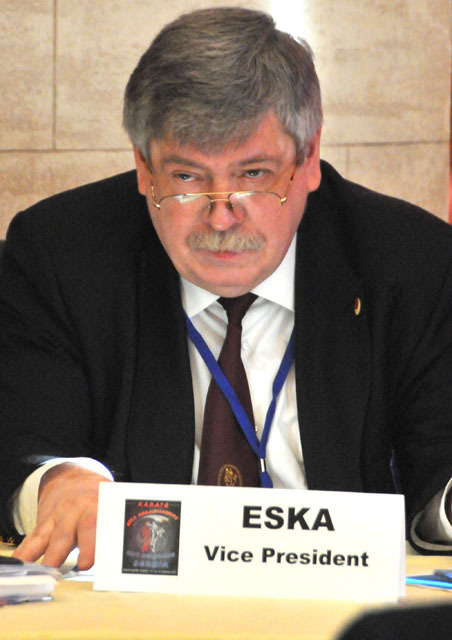 During the ESKA congress general secretary Gunar Weichert/Germany presented the delegates of all ESKA member countries general informations about the federation and important points of the championships. 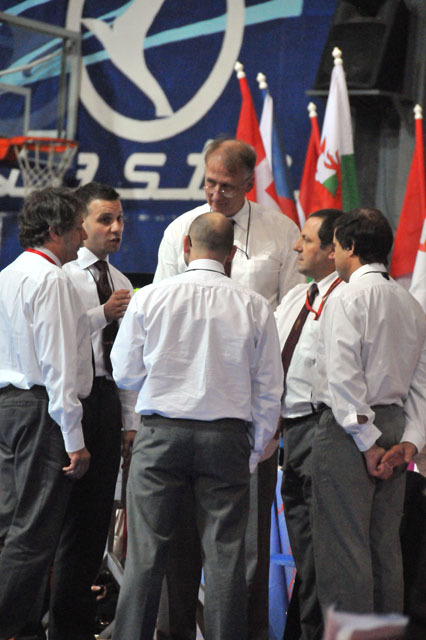 The technical director of the judging committee Ted Hedlund/Sweden lead together with the other members of the judging-board Kent Rantzow/Sweden, Tommaso Mini/Switzerland and Maurizio Contipelli/Belgium the referee-courses and examinations before and during the competition successfully. 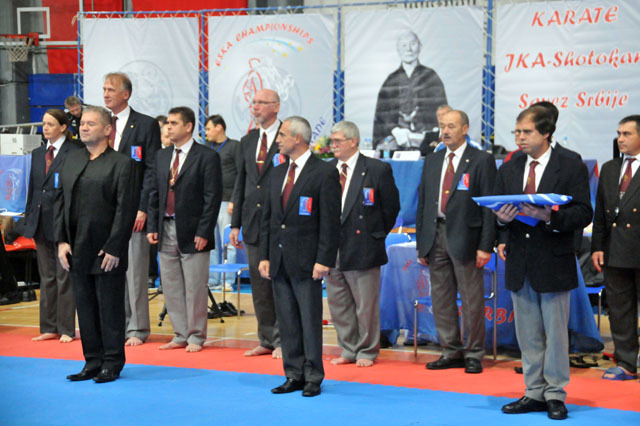 Because of those good preparations the judges provided a very good performance and did an important contribution to the event in Belgrade. 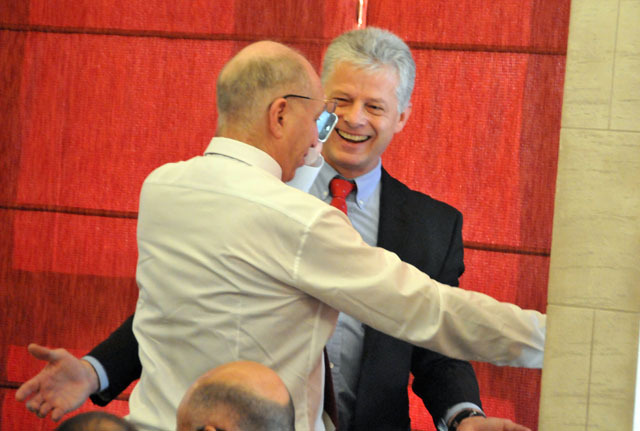 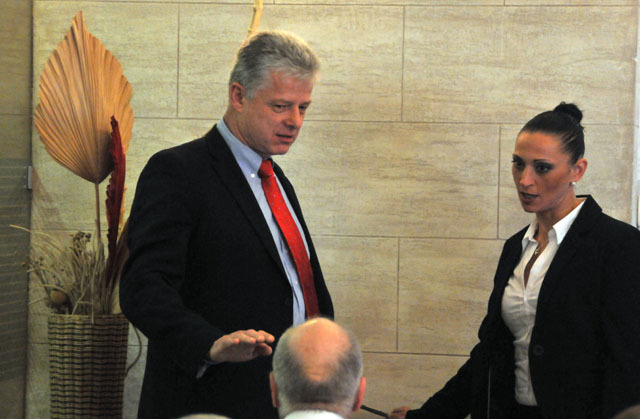 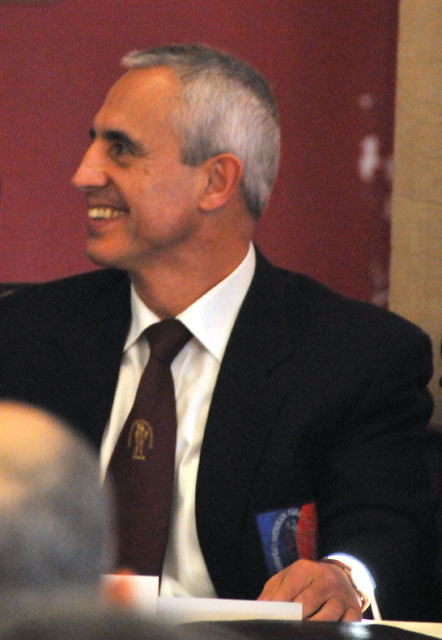 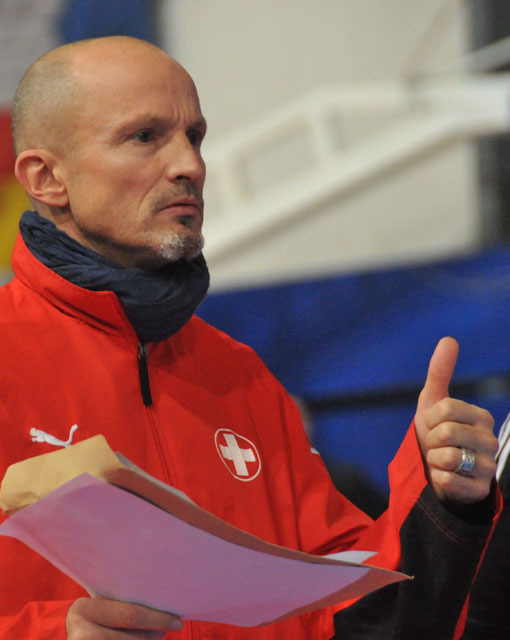 The medical commission was led by Dr. Roland Pfister/Germany and the representatives of Austria and Italy and provided together with the Serbian medicines the best possible conditions for the athletes. 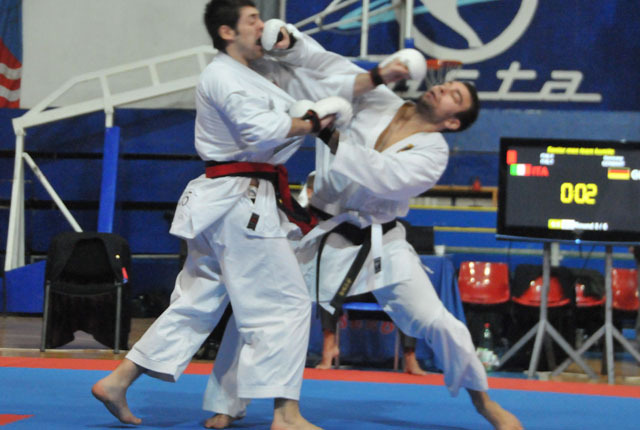 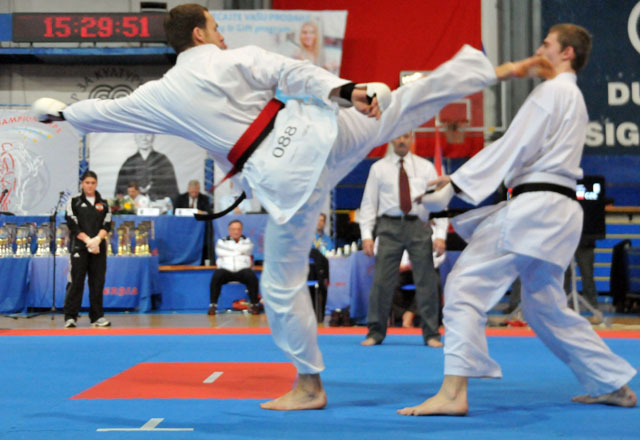 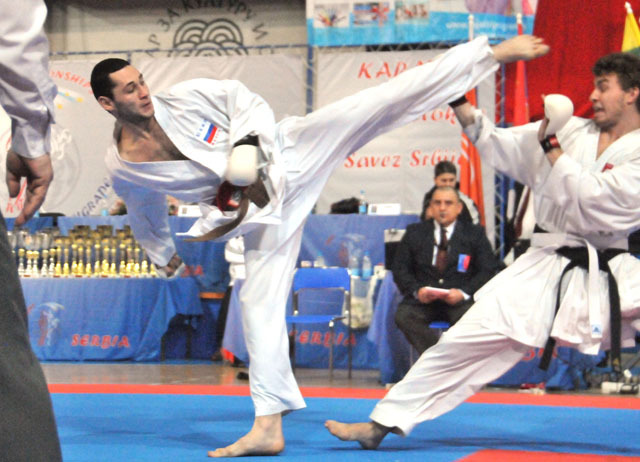 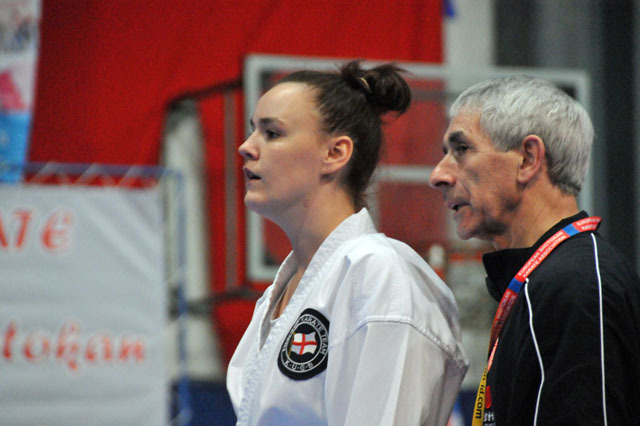 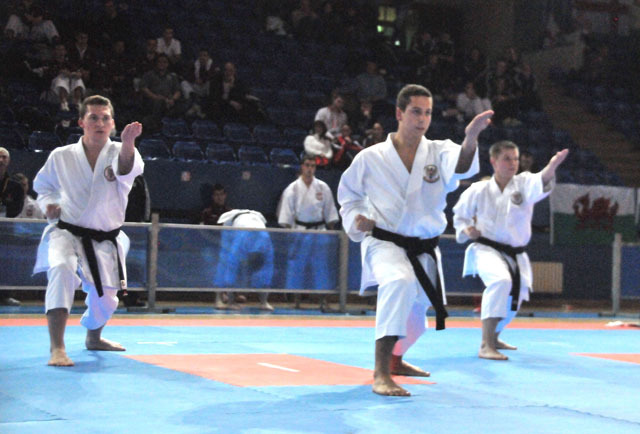 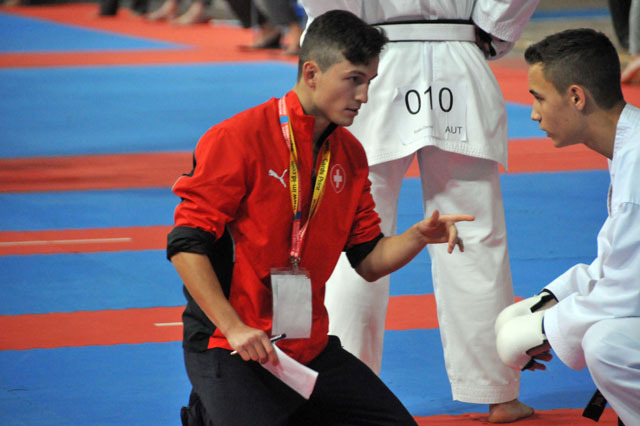 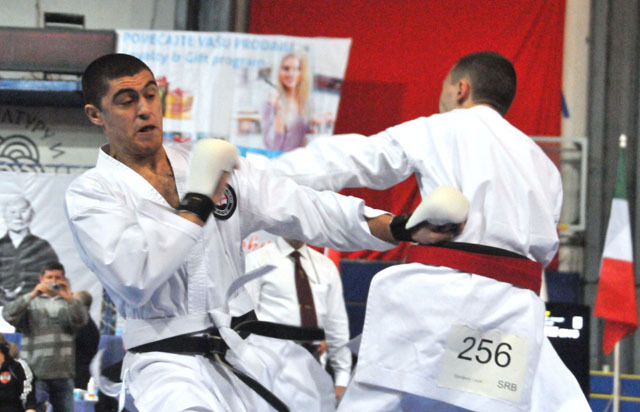 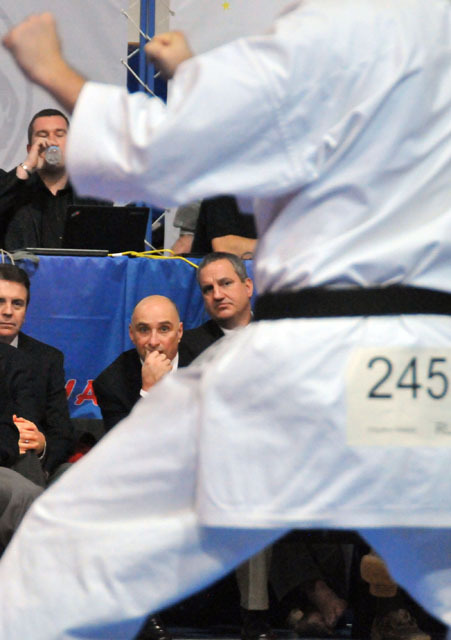 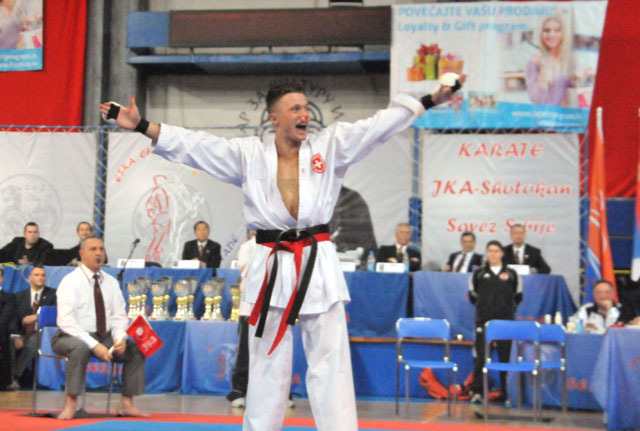 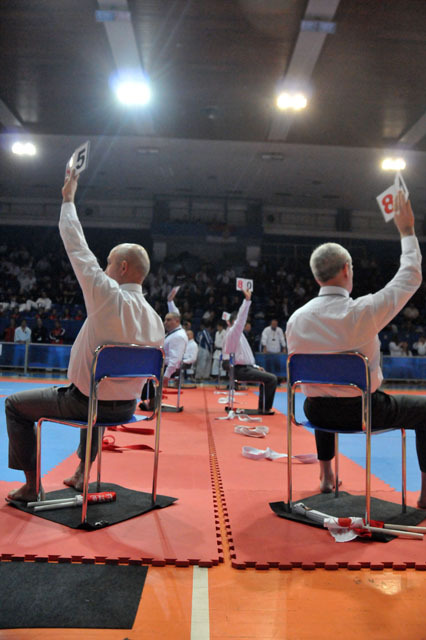 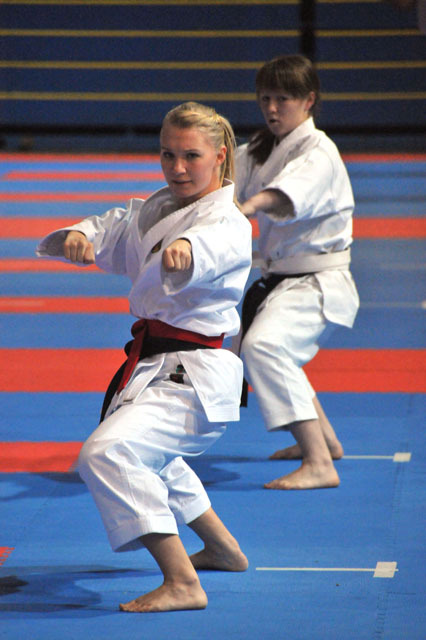 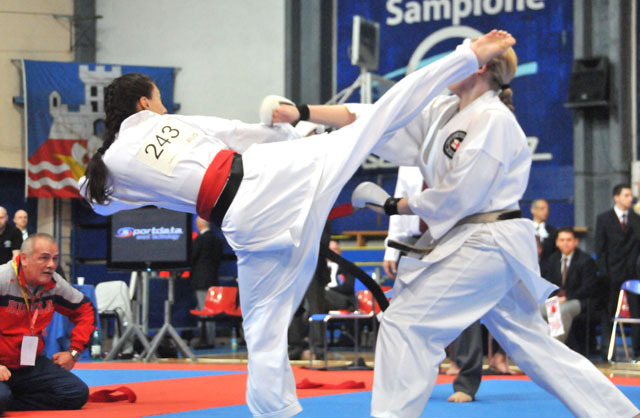 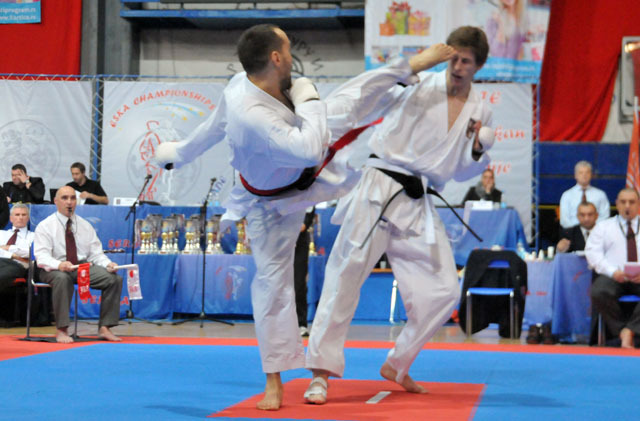 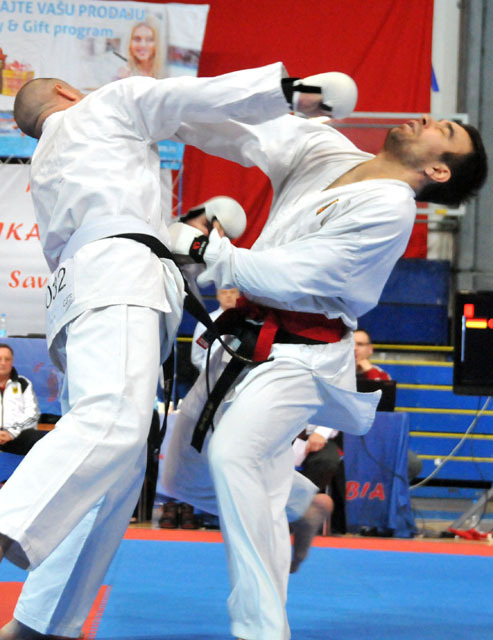 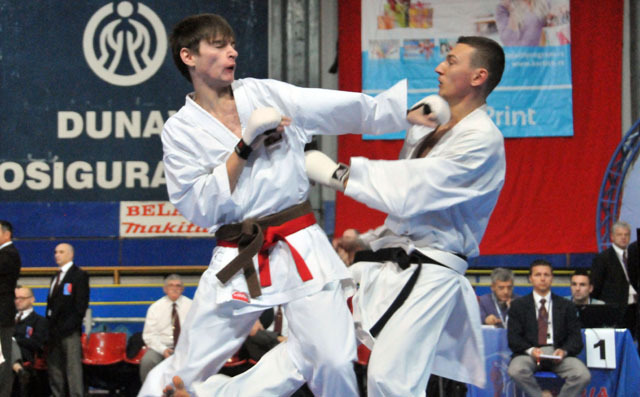 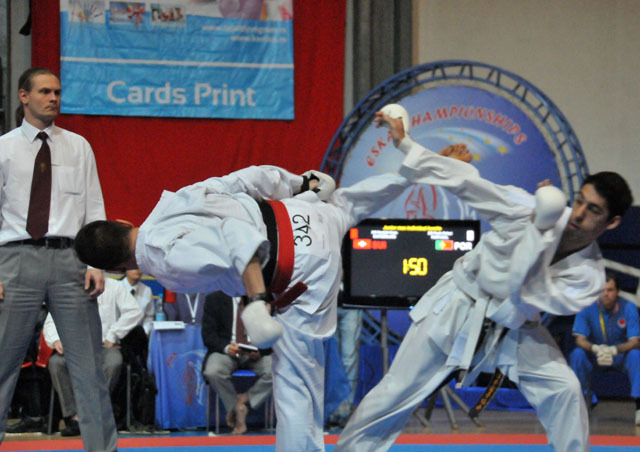 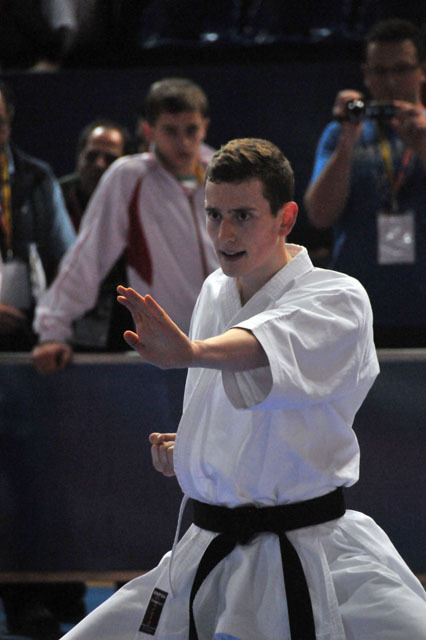 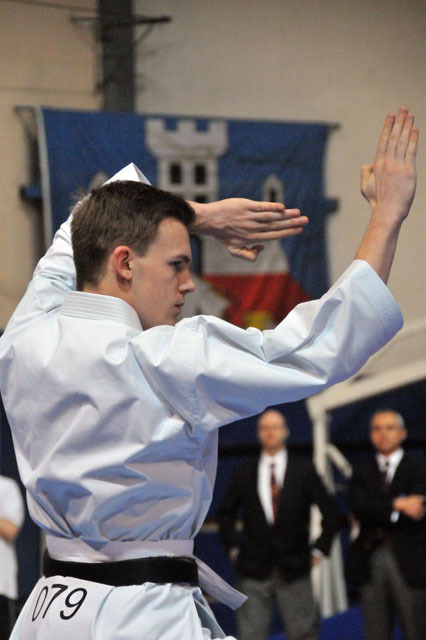 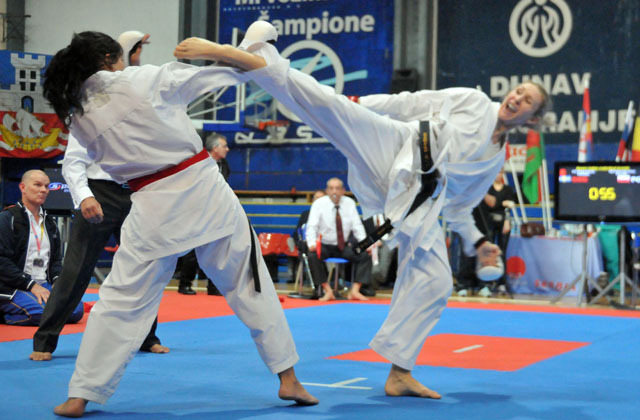 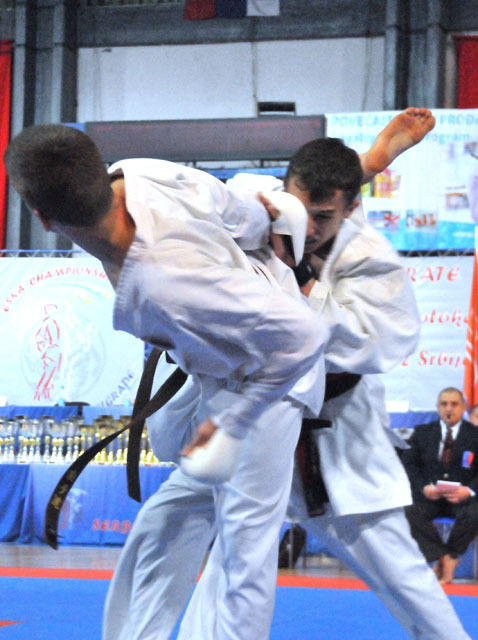 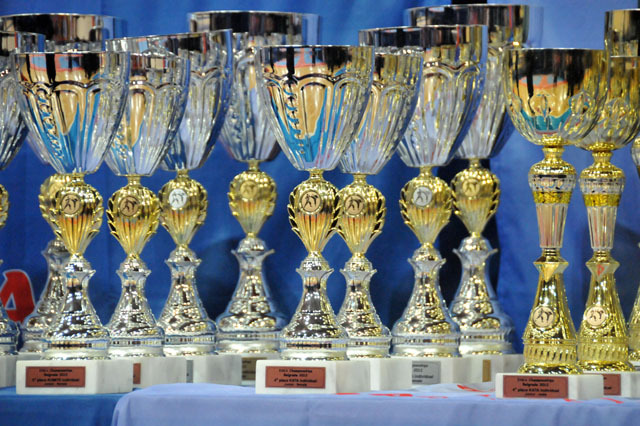 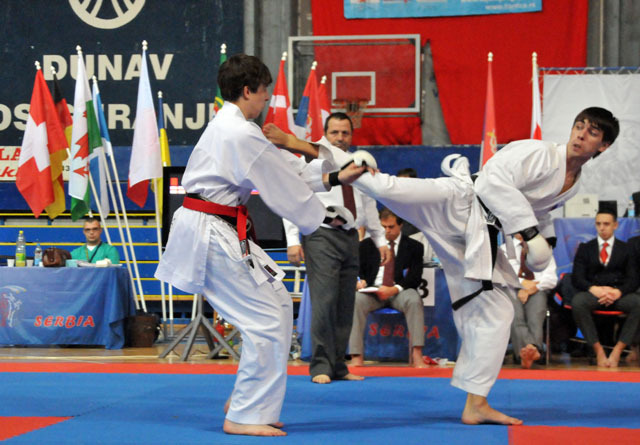 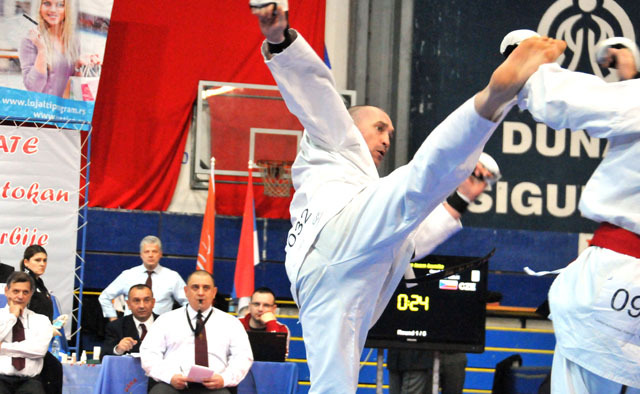 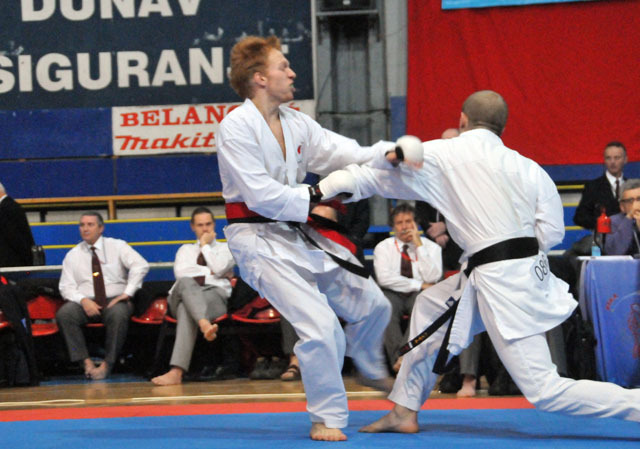 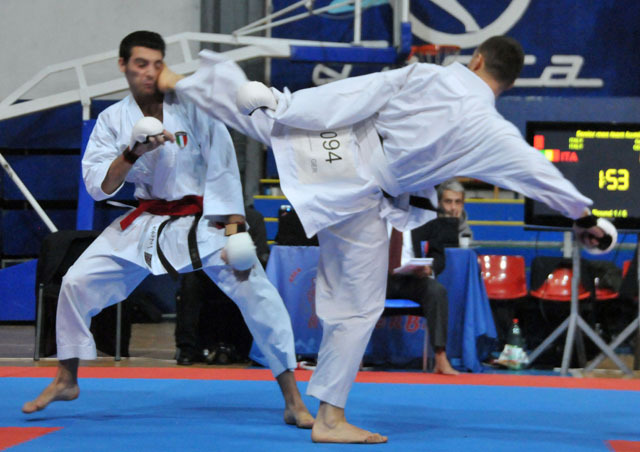 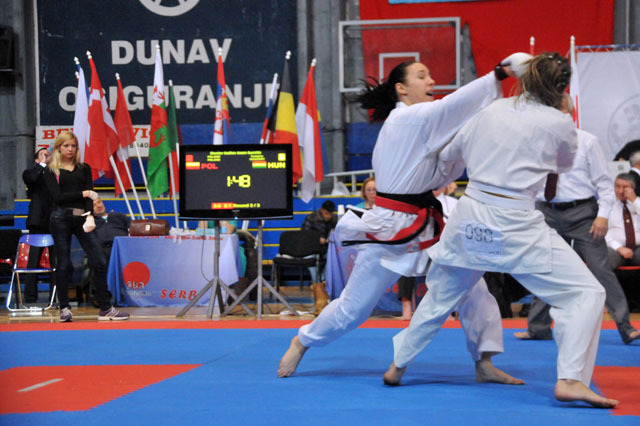 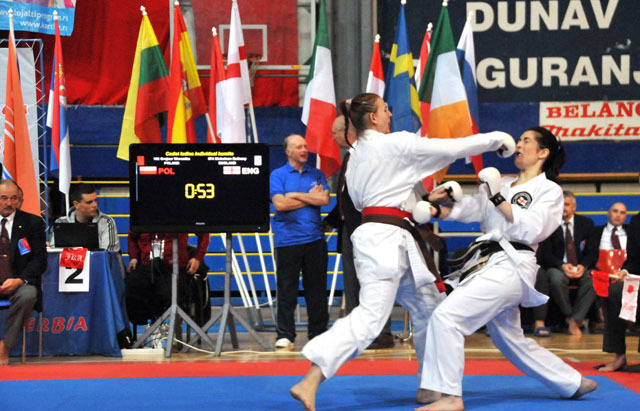 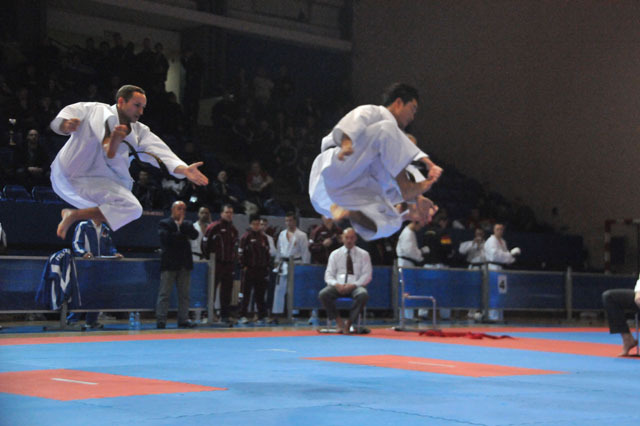 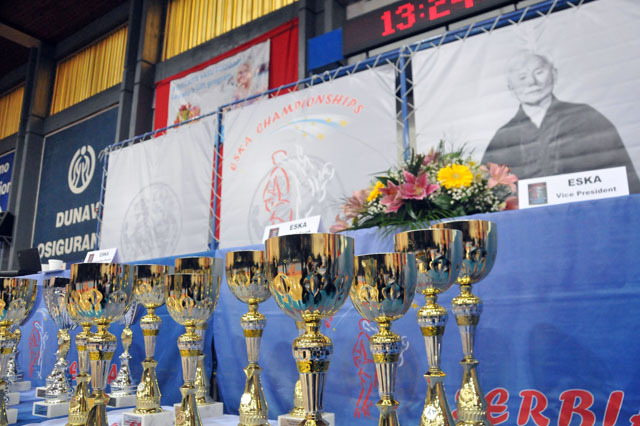 The three competition-days in Belgrade, with 600 starts in the kata and kumite individual and team-categories, were dominated by exciting fights and excellent kata-presentations accompanied by a great athmosphere in the competition venue. 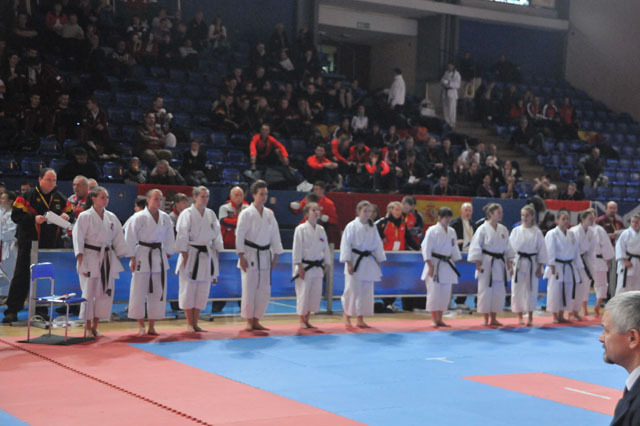 The spectators witnessed great sport and best advertisement of Karate-Do. 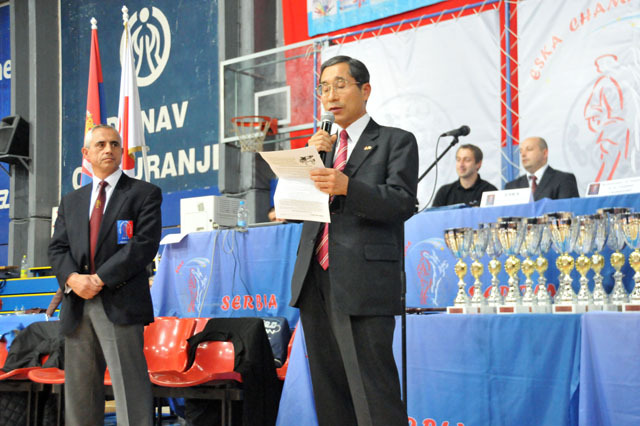 As honoured guest the ambassador of Japan in Serbia Mister Cunozaki who attended the opening ceremony and the finals of the ESKA-Cup 2012 expressed his positive impressions of the event during his speech. 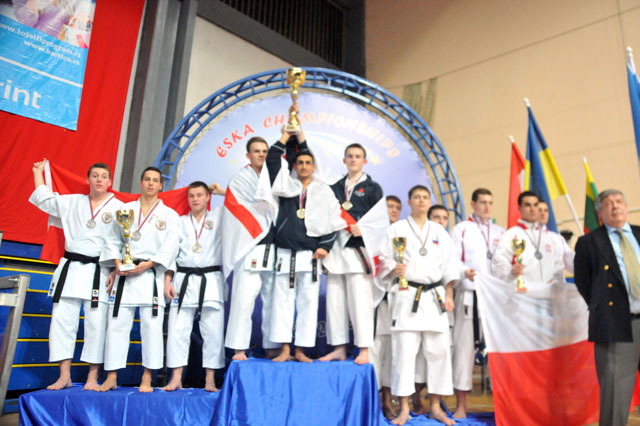 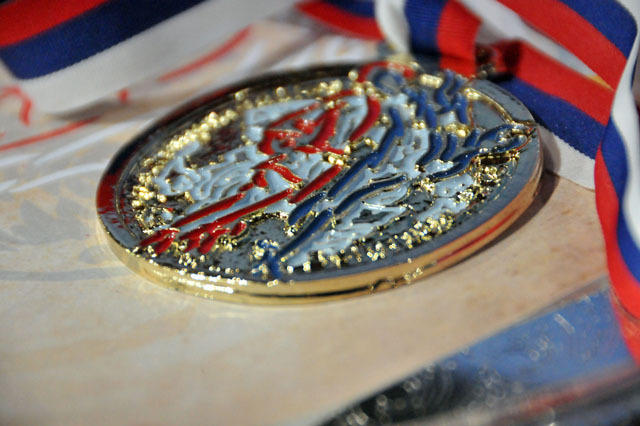 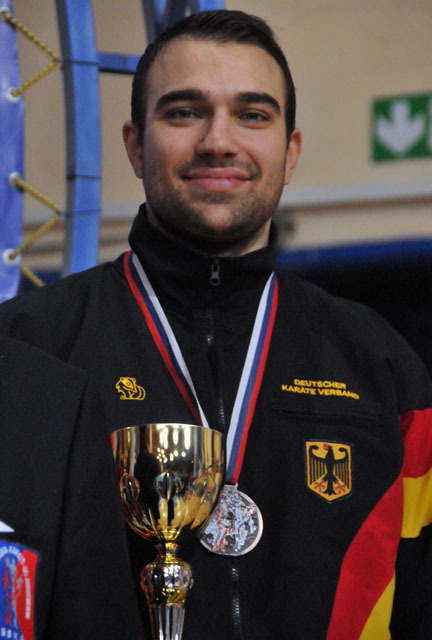 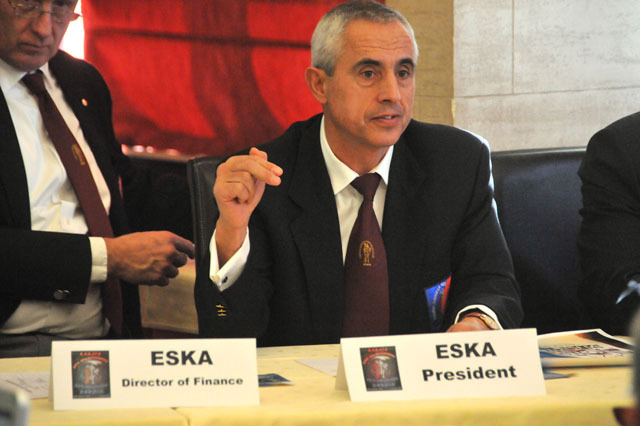 „The ESKA-Cup 2012 was a big success! 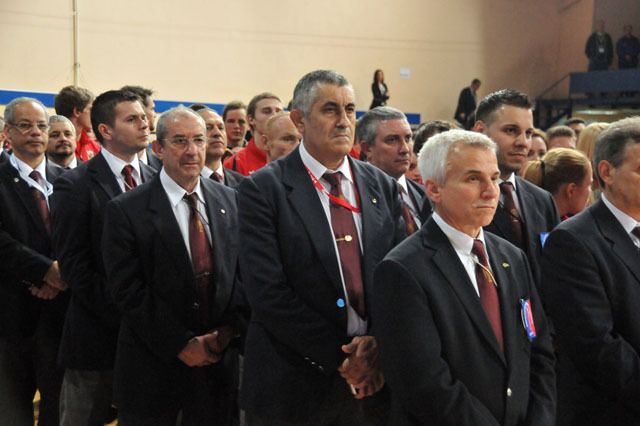 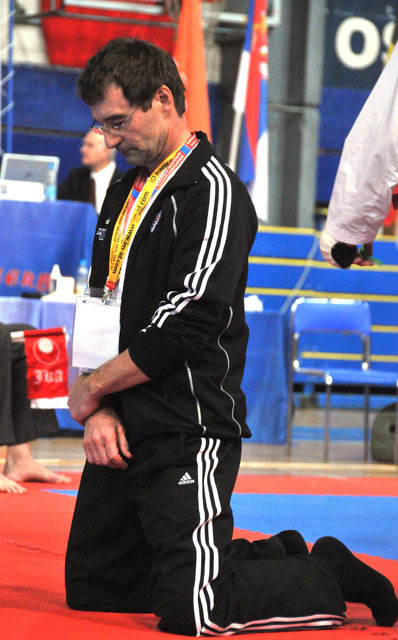 Thank you to the Shotokan Karate Federation of Serbia, to the organizing committee and all participating nations.“ pointed Mr Gunar Weichert after the closing ceremony. 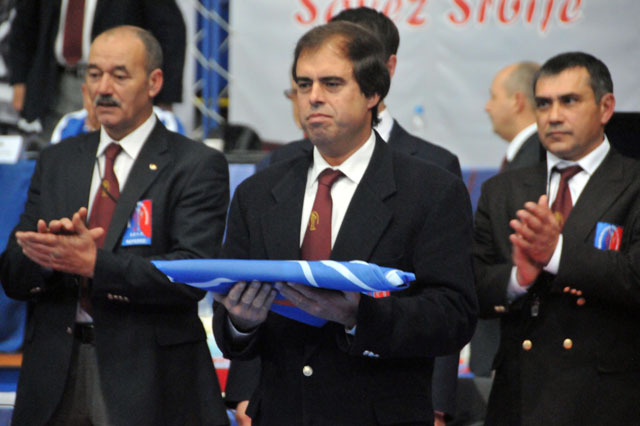 The president of ESKA, Mr. Richard Poole handed the federation-flag to the representative of the host of the next ESKA-Cup, Mr. Joaquim Fernandes from Portugal. 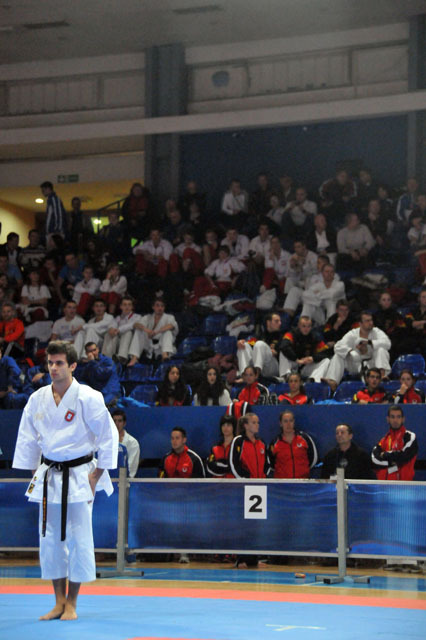 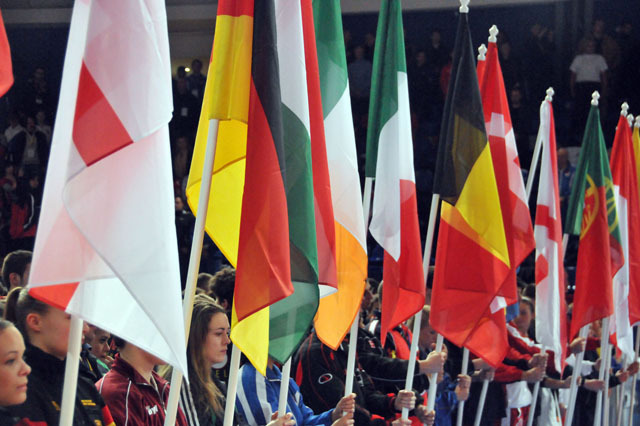 See you 2013 to the 27th edition of the ESKA-Cup in Portugal!